The rippling waters of Kentucky Lake inspire peace and serenity. The forests surrounding it serve as a place where nature-lovers can escape civilization and connect with wildlife. But, if you’re a nature lover who also adores food, shopping and entertainment, Benton, Kentucky, offers the best of both worlds as "Kentucky Lake’s Downtown." Take a break from lakeside sunbathing to find a fabulous outfit or a perfect souvenir for a loved one. Several cute shops and antique stores dot Benton’s streets, offering shelves full of unique gifts. Antiques Et Cetera occupies a 200-year-old building on Main Street and contains various gems from early English furniture to Waterford crystal. Find the latest trends at boutiques, such as The Market Place and Rossi Oliver. The former sells adorable jewelry, home décor, lake house décor and more, while the latter offers beautiful clothing and accessories. For a novel experience, stop by The Hitching Post and Old Country Store in nearby Aurora and discover remnants of a bygone era. The shop sells vintage items and gifts, as well as features an impressive selection of craft sodas. Before heading out on your shopping adventure, visit the Marshall County Tourism website and find even more fabulous stores full of tempting items. Many lake-goers love the smell of a campfire as it roasts hotdogs to perfection. But sometimes, you just need a good prime rib and a piece of freshly baked pie. You can find plenty of both in Benton. The city’s delectable array of local restaurants feature everything from fine cuisine to Southern fare. Located in nearby Aurora, The Brass Lantern is the first west Kentucky restaurant to earn a three-star rating from Mobil. Its menu lists delectable dishes such as charbroiled steak, fillet mignon, lobster tail and pasta. And, of course, it serves the state’s signature derby pie. If you’d like to enjoy a delicious meal with a view of Kentucky Lake, visit Ralph’s Harborview Bar and Grill, located at The Moors in Gilbertsville. The restaurant offers lakefront views so you and your family can watch the boats sail by while savoring burgers, barbecue, shrimp, sandwiches, pork chops and more. Several locations serve beer, wine and cocktails, creating the perfect conditions for romantic evenings or nights out with friends. 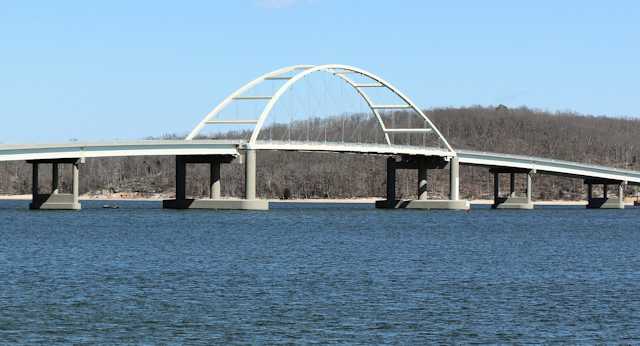 Benton wouldn’t be Kentucky Lake’s downtown without its convenient proximity to the lake and several resorts. The area is filled with comfortable inns and cozy cottages, each with beautiful views. Resort guests also find opportunities to play golf, ride horses, fish, swim, hike and camp. There are several marinas where your family can rent small boats and houseboats or just enjoy relaxing by the water. Land Between the Lakes National Recreation Area is also located 25 minutes from Benton and offers even more to tempt the adventurous spirits in your group. Visitors can camp lakeside or canoe, kayak, hike and mountain bike through gorgeous scenery. If your children are itching for amusement park fun, head to Kentucky Shores, near Draffenville. You and your family can spend a day zipping around go kart tracks, sailing through the sky on ziplines, pounding each other with paintballs, crashing into strangers in bumper cars and more. Other fun afternoon activities involve arcade games, bumper cars and go-karts at Forgotten Past, country music shows at the Kentucky Opry and miniature golf at Maggie’s Jungle Golf. 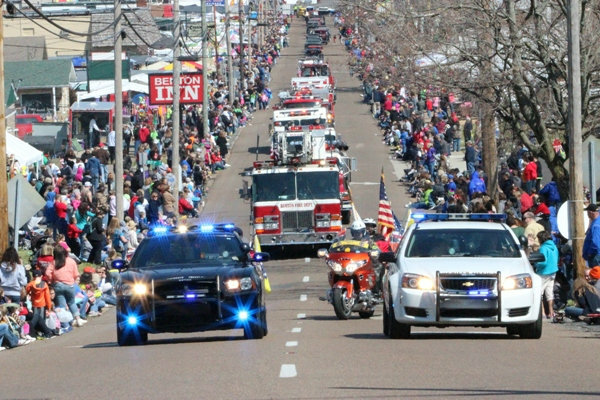 The Benton community hosts several exciting events and festivals throughout the year, including its annual Tater Day tradition. For more than 150 years, this April festival has brought thousands of people to the city for a weekend of food, fun and games. Also, on the second Saturday of each December, locals get into the holiday spirit with A Dickens Christmas Festival and Lighted Parade. Community members dress up in Victorian garb for “Dickens Alley,” to serve holiday-themed food to passers-by and to serenade crowds with traditional carols. The Lighted Parade takes place in the evening and features floats that illuminate the streets with Christmas lights. During the festival, Santa also makes an appearance to listen to children’s Christmas wishes. If you’re a classic car enthusiast, you won’t want to miss Benton’s summer Cruise-In Series, which it schedules for six dates in April through September. Owners from all over the region drive their prized vehicles into town, showing them off along the Benton Court Square from 4 p.m. to 7 p.m. You can wander around the cars while enjoying festival food from a selection of vendors. The event also features children’s activities and exciting door prizes. For more information, visit the Benton Main Street Facebook page or call the Benton City Hall at 270-527-8677. Benton is the perfect vacation location for any family wanting to enjoy both the serenity of nature and the fun that comes with fine restaurants, interesting shops and entertaining festivals. If you want it all, head to Kentucky Lake’s Downtown!